Houston-based entrepreneur Glen Gonzalez currently heads TJG Capital, a private investment trust. 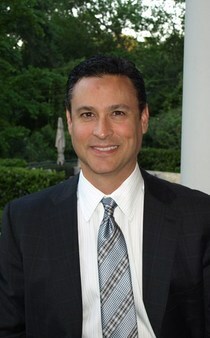 Before assuming this role, Gonzalez served as CEO of The Tierra Companies, a San Antonio based company with business units that included Tierra Transportation, LLC; Tierra Pipeline, LP; and Tierra Marketing, Inc. Tierra offered marketing, infrastructure, transportation, and logistics services to midstream companies involved in the production and refinement of crude oil from the Eagle Ford Shale trend in South Texas. Glen Gonzalez launched Tierra in 2010 and served as its CEO until June 2013, when its business units were sold to TexStar Midstream. With divisions that specialize in crude oil trucking, marketing, logistics and pipeline infrastructures, Tierra’s success was based on equal parts to three primary factors. First, the fortuitous proliferation of the Eagle ford Shale crude oil geologic trend in south Texas; Projected to be the largest domestic oil and gas discovery in the last 40 years, a preliminary estimate of production indicates a reserve in the Eagle Ford Shale that could be more than 4.7 billion barrels of crude oil, or roughly twice the size of the massive Bakken shale in North Dakota. That equates to 200,000 BPD for the next 65 years. Second, the commercialization of two key pipeline projects; Tierra was successful in launching a crude oil pipeline project into the Calumet refinery as well as a significant project that will move refined products from Valero’s Corpus Christi refinery to the San Antonio market. Finally, Glen Gonzalez led a team of professionals who were committed to safety and the environment; dedicated to putting the customer and community first, Tierra prioritized the health, safety, and security of its employees and the public. To ensure the continued safety of its employees and the greater community, Tierra, during Gonzalez’s tenure as CEO, developed an education program called Tierra Crude University, which was designed to provide employees with the tools they need to handle nearly any situation in the safest way possible. In addition to his professional work, Glen Gonzalez devotes his time to supporting arts and philanthropic organizations, including the Contemporary Arts Museum Houston, which he serves as a member of the Board of Trustees. Other organizations Gonzalez supports include the March of Dimes, Houston, the Rising Tide Project, American Friends of the Louvre, and the Amschwand Sarcoma Cancer Foundation, to which he made a major contribution during its 2012 event, Saks Fifth Avenue’s Catwalk for a Cure. Glen Gonzalez previously sat on the board of Safe Space NYC and Diverse Works.